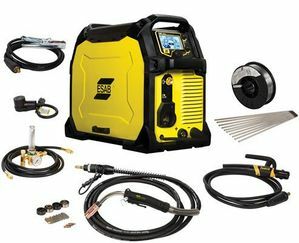 The ESAB® Rebel™ EMP 285ic 3 Phase is a 350 amp MIG, DC TIG, and Stick welder that can run up to 1/16 diameter welding wire. It operates off of industrial 460 volt OR 575 volt 3 phase input power ONLY and weighs only 70 pounds. It comes complete with everything you need to start MIG or Stick welding, except the shielding gas. 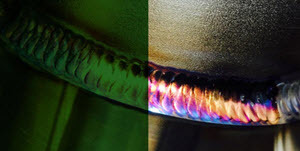 It is capable of DC TIG welding with OPTIONAL TIG torch. The Rebel 285ic EMP accepts 4 inch (2 pound), 8 inch (10 pound) and 12 inch (33 pound) spools of MIG welding wire and comes with a 4 roll drive system. Rebel's advanced, welder-inspired design sets it apart from all other multiprocess welders on the market. ESAB starts with sMIG technology that actually adapts the MIG arc characteristics to your unique welding style. Should you change your technique while welding, sMIG will automatically adjust on the fly. The 285ic has exceptional lift-arc DC TIG performance down to 5 amps. Smooth, stable Stick welding arc performance is consistent even on difficult-to-weld E6010 and E7018 electrodes. Combine all of this with a bright, bold 4.3 inch LED color display and you've got a go anywhere, do anything multiprocess welder that is second to none. UNMATCHED PORTABILITY - weighing in at 70 lbs. with dual voltage capability and 4 handle roll cage. Exclusive, built-in dynamic arc control that constantly monitors complex arc characteristics adapting to your technique to provide a smooth, stable arc and superior, repeatable welds. NOTE: The Rebel EMP is a DC TIG welder only. It CANNOT TIG weld aluminum. 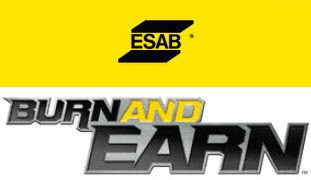 ESAB's industry-leading service and support means that if you do need help, you will be protected by the most comprehensive warranty in the business. 100% SATISFACTION GUARANTEE. If there's anything, and we mean anything, you are not completely happy with in your first 100 days with your machine, ESAB will make it right, or your money back. 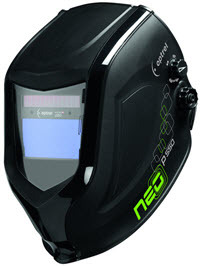 FREE Optrel® Neo p550 auto-darkening welding helmet ($234.52 MSRP value). SHADE LEVEL 4 / 9 - 13 - With a seamless shade level adjustment from DIN 9 to 13, the optrel neo p550 is the perfect solution for all popular welding applications. TRUE COLOR VIEW - The specially developed UV/IR filter allows a realistic perception of colors, at long last bringing color into the world of the welder. 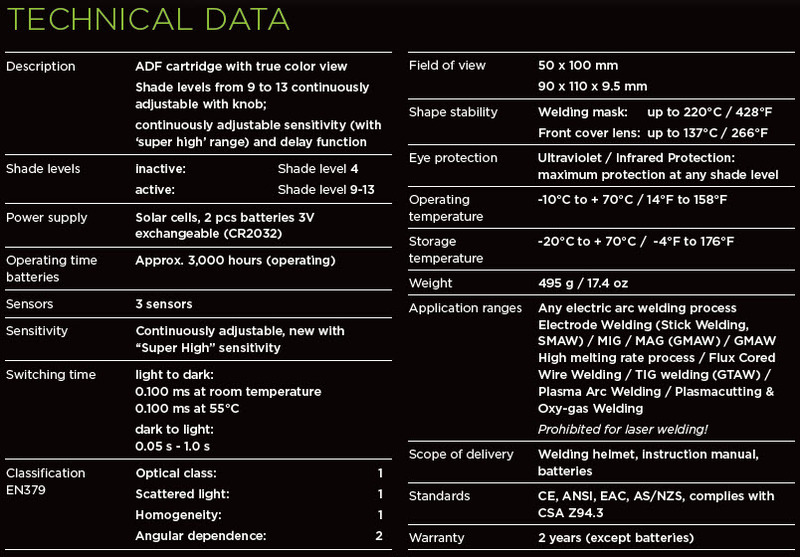 TRUECOLOR passes more colors of the spectrum through compared to standard "green" spectrum welding lenses. SENSITIVITY ADJUSTMENT - allows operator to infinitely change lens switching sensitivity for varying ambient light conditions or outdoor welding in sunlight. DELAY FUNCTION - After shutdown of the welding arc, the ADF momentarily stays closed to protect eyes from the strong afterglow of the welding seam. LIGHTWEIGHT - Weighing only 17.4 ounces, the optrel neo p550 is one of the lightest auto darkening welding helmets available. Its ergonomic design minimizes strain on the head and neck, ensuring comfort throughout the work day. NEW ENERGY CONCEPT - With its radically more energy efficient electronic system including a "Super-Sleep-Mode" the neo p550 stays ready to use for approximately 3,000 hours without changing batteries. EXTERNAL LENS CONTROLS include infinite shade 9 to 13 adjustment, delay and infinite sensitivity adjustment. PLUS get a $100 Visa Gift Card from ESAB® when you purchase a Rebel™ EMP 285ic welder. Download Burn And Earn™ Rebate Submission Instructions HERE. All rebate forms MUST be submitted electronically to ESAB no later than July 15, 2019. Offer expires 6/30/19. The Tweco® SG200REB-12 200 amp Spool Gun is specifically designed for your ESAB® Rebel™ 235ic welder. ESAB® Remote Foot Control W4014450 provides remote on/off contactor and amperage control for your ESAB® Rebel™ welder. 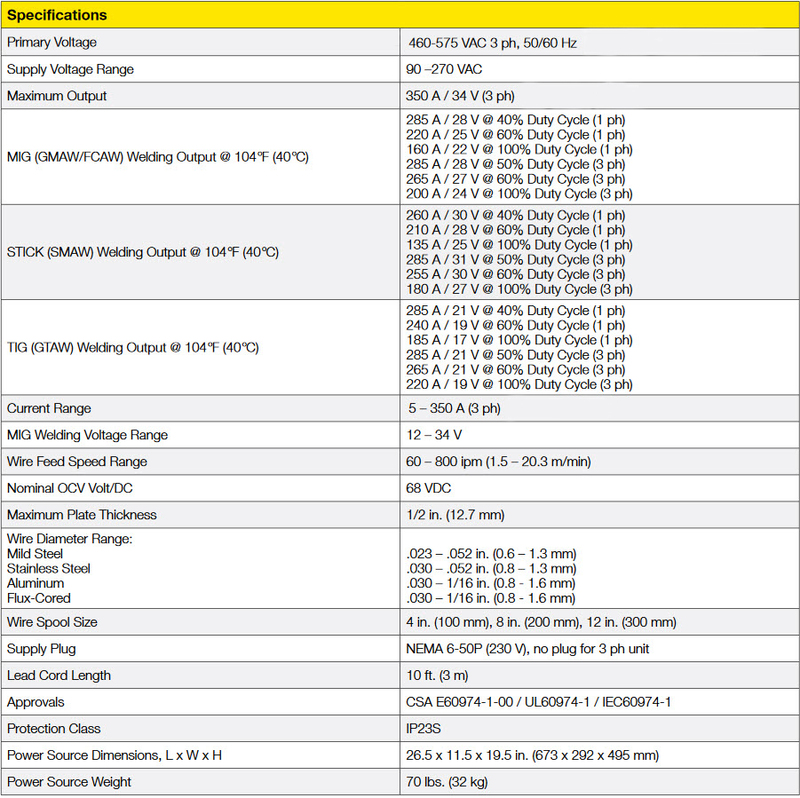 The ESAB® TXH 201 TIG Torch Outfit is rated for 200 amps and specifically designed for your ESAB Rebel™ EMP 235ic or Rebel® EMP 285ic welder.